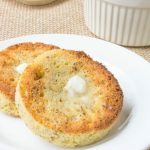 This quick and easy Low Carb English Muffin can be made in under 5 minutes from start to finish! It’s grain free, gluten free, low carb and oh so tasty! 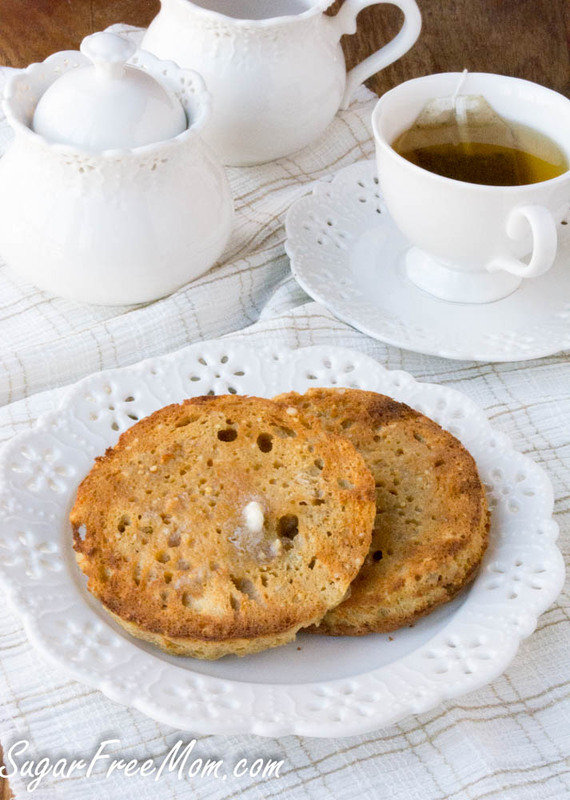 This gorgeous looking English Muffin is so close to traditional that you will be wanting one every day! This recipe was originally posted in April of 2016 but since it is such a popular recipe I decided to give it a little update with a video below. I don’t often crave breads since going low carb. I’m more of a dessert kind of girl, if you haven’t noticed or been browsing through my recipe index recently. But I’ve been really missing having an English Muffin every once in a while. 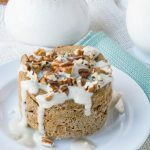 I have made quite a few quick mug muffins and cakes and really like having a single serving or just two servings in some recipes, only because portion control can be an issue for me. I tried a few recipes online for English Muffins, like this one, but for me the texture is most important. While it had tastes good, the texture was too spongey so I set about to create my own version. I put this picture here so you can see for sure exactly how it looks when done cooking. Doesn’t look like much of an English Muffin does it? No worries! Once you slice and toast it, the magic happens! I’m telling you, this will hit the spot if you’ve been wanting the taste of a real breakfast English Muffin bread. It is so divine, it’s best there is only 1 serving. In the future though I plan to increase the recipe to make 6 so my hubby and daughter can have a serving with me or just freeze the rest for when I want them. Hope you love this recipe as much as I do!! I used a quiche ramekin because it’s nice and shallow as opposed to a traditional ramekin which is deeper. If you’d rather bake this than microwave, bake for 15 minutes at 350 degrees F until a toothpick in center comes out clean. This is a very LARGE English Muffin than standard ones you will see in a package. This can be made into 2 smaller servings by using a regular sized ramekin or even a small bowl. One half is plenty of a serving, but if needing it like a sandwich for an egg, you might want to make it smaller and get two muffins from this recipe rather then one giant large and eat just half of it. If you don’t have almond butter you can sub peanut butter instead, tastes just as delicious! So the serving is a half of 1 large muffin or a smaller english muffin with both top and bottom. One of my readers suggested adding the batter into a muffin top pan which I think is a great idea! Grease 4 muffin top cups then add batter, this way you won’t even need to slice them in half! Just pop them out of the pan and toast them like that. Some readers have mentioned it is a bit salty, but I did not notice that. You can easily fix this simply by using unsalted butter and unsalted almond or peanut butter or just omit the 1/8 tsp of salt. UPDATE: April 17, 2016: I made this into two smaller English Muffins so adjustment of microwave time is needed. Microwave only one at a time and only for 1 minute, not 2 minutes like the larger sized portion. I also used cashew butter and loved it! UPDATE: May 2, 2016: Made this into larger servings for 4-6 and baked it! 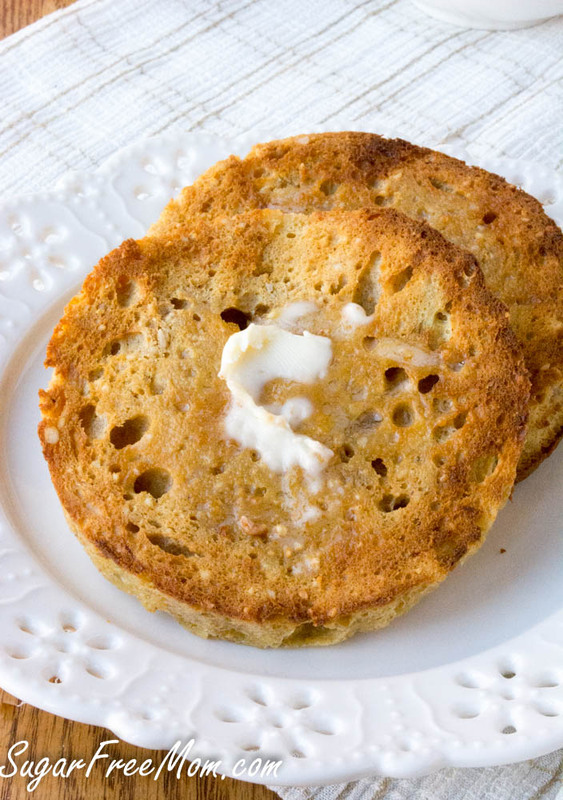 Here’s the recipe for that: Low Carb Paleo English Muffins! UPDATE: May 25, 2016: The NUT FREE version is here! 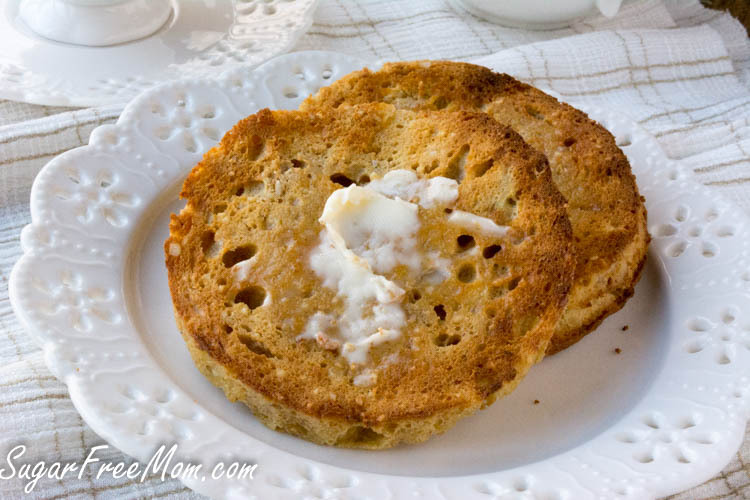 1 Minute Low Cab Cinnamon English Muffin( Nut Free)! Spray the ramekin you are using with olive oil cooking spray or coconut oil spray. Add the almond butter and butter to the dish. Microwave for 30 seconds and mix until smooth. Set aside to cool. In a small bowl whisk the almond flour, salt and baking powder together. Pour the milk and egg to dry ingredients and stir until combined. Pour this mixture into a shallow ramekin with the almond butter mixture and stir to combine well. Allow to cool a few minutes before taking it out of the ramekin and slicing in half to toast. Interesting using almond butter! I’ve made English muffins lots of different ways but I’ve never added almond butter. Might just have to give this a try! peanut butter works well too! I didn’t care for these at all. It was worth the try. where did you get the pans to cook them in? I had my first real sandwich in a month! Ham and cheese. This is a great recipe. Thank you. This sounded so crazy, and I have been yearning for an English muffin. I tried it. In heaven…. Had to use PB, but not complaining!!! So grateful to find this on Pinterest! Can i use somthing other than a rameken? I have a set of 3″ diameter Campbell’s soup mugs that I used, since I don’t have ramekins. I divided the single recipe in half, using 2 mugs. Instead of cashew butter, I used almond butter. Otherwise, I followed the recipe exactly, nuking the two mugs together for 2 minutes. I just ate one, which I toasted in a non-stick pan, because I was afraid I wouldn’t be able to fish them out of my toaster. They came out great, and I’m looking forward to eating the other one tomorrow! I did the whole thing (softening the butter and almond butter, mixing, and microwaving) in a 2 quart pyrex bowl, because I didn’t have anything else that would give me a larger size muffin. I used a spatula to clean up the sides before cooking. Worked out great. I was able to slice into two halves. While it was thinner toward the edges, all I did was trim off the edge that was the “bottom” in the toaster. Can you use whole milk instead of almond milk? How is this only 2 net carbs? – The peanut or almond butter itself is 6 net carbs. I made this muffin this morning using an individual packet of almond butter which just happens to be 2 tablespoons. This was EXCELLENT. I thought it was a tad salty so I’ll just use 1/8 TSP of salt next time. Otherwise, YES!!! WINNER! I agree that they were salty. Made 2 of these tonight: 1 for hubby, 1 for me later. At first they felt weird and eggy when they came out, and I thought they tasted heavily of almond, but after they cooled and were toasted, the almond flavor really took a back seat. I’m going to try with the milder cashew butter and non-dairy coconut milk, and since I use salted butter, I’ll probably eliminate the extra salt altogether. 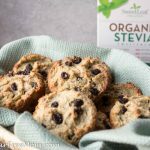 I might add a couple drops Stevia glycerite to sweeten them just a tad, like real English muffins taste. I forgot to add salt, and it tasted perfect. I used almond butter and it had a nice, subtle taste. I just made this using peanut butter and my house smells yummy now! The recipe calls for what seemed like a lot of salt, so I cut it in half, and it’s still pretty salty to me. Seems like this would be a good recipe to make multiples of so it could easily be sliced and toasted on a busy morning! Yes making more is in the works! How far ahead of time can you make these? Can I make a bunch on a Sunday and toast for weekday mornings? What do you recommend? Yes you can certainly make a bunch ahead and reheat to toast when you want them, store in fridge. I just tried it with Cashew butter, which is what I had on hand. It came out great! Thanks for the recipe! You said that you’re going to come up with a recipe that yields more. Is there any reason why I couldn’t just double or triple all of the ingredients or is there something that I don’t know? I’m not used to making these kinds of recipes. Thank you! You could triple the recipe and make 6 small ones and let me know how it goes, I’ve not tried it yet. This recipe sounds so amazing! I love the suggestion for using it as an egg sandwich and may do so with cashew butter for a more neutral taste. I can’t wait to try these. Thanks! Did you use cashew butter? If so how did it turn out? I used natural peanut butter, and although it turned out delicious, I feel the peanut butter is an odd combination with the egg. I have not made any substitutes with this for a nut free version so I really can’t guess on what else would work for you. I do plan on trying a nut free version using coconut flour but right now I would not feel comfortable telling you by subbing coconut flour you will have the same results until I try it myself. Sunflower seeds ground up would work as well. I use it as a sub for almond meal all the time. I get soo upset when they call things “nut free” then they use coconut!!!! Your suggestion is really helpful. Do you sub it equally, or do you need to make adjustments? i. e., more or less liquid or other ingred. adjustmenTs? I’ll try googling sunflower seed flour as a sub for other flours. I’ve subbed sunflower seed meal for the same amount and it worked well. Would coconut flour work ? I used coconut flour because I like the coconut taste over the dry almond flour taste. It turned out good. Soft and fluffy. I would add hempseed in the mix next time. I like it because it is fast and easy when you are in a rush to make a single bread substitute. Wonderful for a quick breakfast or snack in between meals. I just used a gluten free, grain free flour mix, which worked great. SO good! What kind of almond milk do you use? Refrigerated kind or other? Thanks. Yes I just use Silk unsweetened. Right, place batter into 4 muffin top cups and you have two serving so you have a top and bottom and no need to slice anything in half, then just place them all in a toaster. Hands down one of the best keto bread recipes I’ve tried so far. How long and what oven temp would you bake the 4 muffin tops? 350 degrees F for maybe 12-15 minutes, keep an eye on them at 10 minutes. These look amazing! I’ve been eating low carb bread and need to try making it—homemade is always better!!! Oh it’s easy Liz and a lot less expensive than buying low carb bread too! Sorry this comment was meant for another recipe, not this one. Oh my goodness, so good! Used cashew butter as that’s what I had and thought I would like it better than PB. 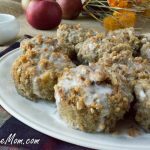 I’m so excited about this recipe, although they were so good I just ate both servings! I have such a problem with portion control! Thanks! Glad to hear, I will try it with cashew myself! I don’t have a microwave. How can I bake them? I looked under”Notes” and didn’t find the oven directions. Can I use the muffin top oven directions when using 8 inch ramekins? I love how simple this recipe is! I wonder if it would works with a flax egg? Did you try it with a flax egg? I was wondering if there are any other egg substitutes for this recipe?? These turned out great! I was so confused when I got a cake looking muffin out of the microwave, but it’s literally the toasting that does the trick. And it was so thick that I was able to get 3 slices out of it. Can’t wait to make these again, but I would probably use a little less salt. Thanks for the easy recipe! These were great! They really have the taste of pecan sandy shortbread cookie. I’m not a “salty” person, so I left out the salt. I would certainly like to wake up to this! I only have unsweetened vanilla almond milk – do you think it will taste ok? I think it would be fine to use that. Have you tasted it both ways, your lower calorie version and mine? Yeah Kathy!! That’s awesome, so happy you loved it! I just pulled these out of the oven – I like this recipe a lot, and it seems pretty adaptable! I omitted the salt, and baked this in the oven at 350 for 10 minutes. I was able to get 6 muffin tops out of the recipe, 1 tablespoon per top. 🙂 Next time I’d bake them a little longer. Can’t wait to try them toasted! Thanks so much for sharing your adaptions! Thank you, thank you, thank you, Brenda!!!! I have been staring at a jar of sugar free apricot jam that I used in a recipe for a couple of weeks now and wish I could eat toast. This recipe is my answer :D.
Though, I did bring the calories down to 149 by using Olivio light and 1/4 cup of eggbeaters. Did I say thank you? Have a great Sunday, Brenda! SO happy you liked it Mary! I was surprised that I don’t have any almond flour right now! I substituted soy flour for the almond flour, same amount & it turned out great – thought I would let you know! Took your advice and left out the salt, baked it in the microwave, toasted it and I am practically in tears! Just the visual looks like a toasted English muffin. The taste is amazing. Thank you so much. I just told my husband I really miss toast – no longer! Brilliant recipe-pinned & shared. Thanks so much! So happy you love it like I do! What is almond flour – is it almond meal (ground almonds) or something different. I don’t think I’ve seen it in Australia. yes it’s basically ground almonds, very fine, you can make it yourself. I just made them in the microwave. I used home made coconut butter (made from desiccated coconut in a blender) and did not put salt….I just buttered them and ate with butter….It was divine! I am diabetic and never had before anything so delicious. New to baking too. I just blended everything in the blender. O MY! It was so yummy! yum! Love how fast it is for something homemade! Can these be frozen? How long will they keep? I’ve not tried that yet. I would think if just refrigerated at least 5 days. This is delicious! I love your dessert-baked goods but toasting this is wonderful! Thank you so much! Finally! This recipe does not taste like egg or cheese and you don’t have to try and convince your self it’s something that it’s not — thank you so very much. I’m very excited to try this for different things. My muffin came out a bit moist, even after toasting. I may try to use half coconut flour and half almond flour. The taste is absolutely phenomenal. I look forward to checking out your website. So I tried half coconut flour and almond flour. I wouldn’t recommend. It did come out, but it lost something in the texture. I am happy with the original recipe!! Oh my GOSSSSHHH! I live in China so it’s impossible to find low carb ingredients and gums that we could have found in the US. I’ve tried ALOT of low carb bead recipes,, but they always come off too eggy. I just made this with my daughter and we were AMAZED! I am so so grateful, as another reader said, it is HANDS DOWN the best low carb bread recipe out there. Thank u sooooo much! I didn’t have a microwavable dish so baked it in the oven at 400f for 15 mins then microwaved for 30 secs on a plate to make it chewy. It was soooo good!! I used sugar free peanut butter and it was great toasted with my eggs…will be making this a lot thanks! I don’t generally use almond milk so I’d rather not buy a whole carton for 1 Tbsp – could I use real milk instead? Absolutely, that works fine too. I’m keto too and you can use heavy cream but FYI unsweetened almond milk is allowed on keto. Tried this recipe today and it came out better than I thought it would. Then I made an adjustment on the second try. I left out the salt and used 1/8 teaspoon baking soda. It came out twice the size! Thanks for the recipe! Make that one sixteenth of a teaspoon of baking soda! I tried this recipe and it was very tasty. I toasted it and will definitely put it in my repertoire. Have you tried this with a chia or flax egg? I just made these using the cashew butter. I topped it with peanut butter and sugar free blackberry jelly. Fantastic. I have been craving a peanut butter and jelly sandwich for weeks and this did the trick. I’d *really* like to go eat the second half of this RIGHT NOW! But I’m working on portion control. So, I’m writing a comment instead. Super tasty. I think my kids will like these. I love the ingredients and that it was easy and toasted nicely. And some Kerrygold butter on top…oh yeah! Thanks for the recipe! So the calorie content went up, I’m sure, but…. oh my gosh, I’v never had such a bread-like texture in low carb! This recipe is amazing! Now I just need to make it the way you suggested, too. Thanks! Thanks so much for sharing your substitutions!! Glad you liked it! Hi Brenda, G’day from Australia, I made this English muffin for breakfast this morning (I did 1 tbspn of Cashew butter and 1 tbspn of Peanut butter, and didn’t add any salt). Turned out perfect (even though our Aussie tablespoon measures are 20ml/20mg compared to your USA 15ml/15mg tablespoons). I had a little square baking dish about the size of a slice of normal white bread and filled that with the recipe mix and it was great, I cut it in half making 2 “slices” of muffin, popped them in the toaster and had them with curried eggs and lettuce. Will be writing it up in my tried and tested book of low-carb recipes, as most recipes have American measures which I always have to tweak the ingredient weights. Might have to try the Cinnamon one next. Thank you and Hoo Roo from Oz. Tahini works in place of nut butter, too. It was quite runny, so I left out the butter and used yogurt in place of almond milk – and had to bake in the oven since I don’t have a microwave. Worked great – although a little crumbly to pick up. Might this be because I didn’t let it cool long enough before toasting? Or maybe it’s the substitutions I made. I think I could have got 3 decent sized muffins out of the mix, too! Hello there! I made these for the first time this morning! I made a few adjustments, however. I subbed peanut butter for almond butter, milk for almond milk, and I used a mini microwaveable soup crock instead of a ramekin because I do not own one. The taste was very nice and I think if I had used something with a larger circumference they may have crisped up a bit better as mine were a bit too thick. Next time, I will try using tapioca flour as I have read it makes things crisper. Thank you for this recipe. It was so very quick and easy! So I tried doing it without an egg or replacement since the nut butter was in there. Nope, that just made a huge mess in my microwave. Off to the store to get some eggs. Thanks for sharing though, appreciate it! Great. I’ve been reading the comments to see if anyone tried a chia egg – good to know it won’t work. Thanks Shari. This is so good! Thank you for sharing your recipe. Yum! I used peanut butter because that is what I had. So great with my cup of tea…Just need to make some sugar free jam! Thank you. Turned out perfect but not sure about the values. Are the 2 net carbs and the 222 cals for half the muffin or the whole. I’m counting carbs and calories for one week and as I halved this muffin with my husband Ineed to know what my counts are. Many thanks fo such a great recipe. The serving amount is listed for 2 servings. If you’ve made one large muffin, then half is the serving. If you made 2 smaller versions then you are able to eat the whole thing for the serving amount listed. Thanks so much for your speedy reply. Please bear with me and tell me this: I made one muffin and ate half. Would that be 222 cals and 2 carbs for me for that one half? Thank you so much for your time. could you use PB2 instead of the other nut butters? I’ve not tried that, it may be a bit drier because it has less fat than traditional but it might work fine. Hi Brenda, I had asked you before, but I can’t seem to find the post. Anyway, I am not a fan of nut butters. What can I use in its’ place? I made this today, as written but using peanut butter. As others have noted, it’s pretty tasty with peanut butter. I’ll try almond butter next. I have only one size of ramekin, and I thought they would have qualified as pretty large. But, there was a bit of overflow… Turned out not to be a problem; I just scraped it off the side of the ramekin; and the muffin was cooked all the way through. Brenda, what is the diameter of the extra-large ramekin that you used? Mine is 3 7/8″. I think splitting the batter in two and making 2 muffins would likely not give me enough in each; and I’m thinking, I should probably buy a couple of smaller ramekins! I want to try this and need to purchase a quiche ramekin but when I looked online I found a number of different sizes & shapes claiming the same title.Can you please tell me the diameter of the ramekin? Just made these with cashew butter – amazing! I haven’t found a bread replacement since going gluten-free 3 years ago that I can deal with. But, now I have 🙂 Do you know if they freeze well? Glad you like it! I’m sorry to say I’ve not tried freezing them yet but I do think they will do well if allowed to cool completely, then slice in half but don’t bake it until you want them. Sounds like a good plan. I will try that. Thanks! I have been strict low carb for 3 months and I often fantasize about slathering butter all over a toasted muffin. Fantasy fulfilled. Satisfying and very filling. I used silicone mini round pans from King Arthur Flour and they were perfect for half the recipe each. Can’t wait to use for sliders. I have been wanting to try this since your original post. Now that I finally did I am sad about all those missed opportunities to have this awesomeness for breakfast. Can’t wait to try all the other versions you have come up with. I can’t believe how good these were! I have been craving bread with my breakfast and this was the perfect solution. They were amazing! And so easy, I used cashew butter and blanched almond flour from trader joes. They didn’t taste too nutty like other paleo breads I have tried. I will definitely be making the larger batch and freezing for future use. Thanks so much for sharing this great recipe! I was skeptical at first, mostly about the idea of microwaving instead of baking and I was very pleasantly surprised at how well they came out of the microwave. I used almond butter because it has to lowest carb count and could not taste it at all, although it would have been fine if I could. I toasted it and then buttered it and added a bit of erythritol and cinnamon “sugar” on top. Yumm! If it was very dry, it was overcooked in the microwave. All microwaves are different perhaps less cooking time for yours was needed. Mentioned in notes to use cashew butter as the peanut butter is stronger in flavor. Brenda, maybe stating how many watts your microwave is in the recipe would help. Then people could adjust the time and power for their microwave wattage. They could lower the time and/or power, as needed. I really missed toast in the morning. Now I can have this with my smoothie! Wonderful! Looks like many more recipes on your site I can’t wait to try! ThAnks again! This was wonderful! I have been missing my breakfast sandwiches and now I can eat them again. I love trying new recipes, but I’m horrible at creating them. 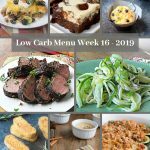 Thank you for all you do to bring us delicious, sugar-free and low carb recipes! Brenda, you make such a difference in our lives! What a wonderful recipe! I’m going coconut-free for a week or two to see if I’ve developed another sensitivity. I hope that won’t need to be permanent! I tried another grain free english muffin recipe a few years back, with no desire to repeat the experiment. These though, THESE are INCREDIBLE! Regardless of how the coconut-free test goes, this recipe is a keeper. Thanks so much! I baked these in my toaster oven and then sliced open and toasted again right on the rack before eating with lacto-fermented huckleberries (breakfast) and garlic butter (dinner). FANTASTIC! Love these – and made a brilliant discovery last night that I thought you may be interested in. I forgot to put the egg in the mix. Didn’t notice, and cooked it as usual in the microwave. It came out hard and a bit weird. So I ended up scraping it out of the ramekin with a spoon – and guess what! It crumbed up just like breadcrumbs. Tastes good too. So you made the recipe minus the egg and cooked as recipe says, scraped it out like breadcrumbs? Was it burnt? Sorry for the delayed response – didn’t see your comment til just now. No, it wasn’t at all burnt. I just micowaved it till it looked cooked, but that may have been a shorter time than usual. I just look through the glass door and stop the cooking time when it looks ‘right’. Super good I was surprised sorry !! But honestly I really enjoyed it and will be making it often …followed the recipe but used peanut butter it was tasty and I put it in my toaster never fell apart however I let it cool a bit but it was fantastic …thanks for sharing I’m passing it along !! I tried this today and it was very good! I made 2 “English muffins” out of halving the batter into 2 glass Pyrex 2-cup dishes. Microwaved for 2 minutes 20 seconds for both dishes at the same time, came out great!! This is definitely my favorite texture for low carb breakfast sandwich options so far…..the other recipe I have been using is more like a sandwich made of scrambled egg….however, I do wish there was a way to get this consistency and texture without the nut butter taste….hmmmmmm…..Otherwise, came out great and sliced perfectly! I will definitely make again. Thank you!!! These came out very well. I used two small pyrex dessert dishes and split the batter among them. All were eaten fast. Hi, Can I use Sunbutter instead of the other butters? If you were doing this as a Trrim Healthy Mama….would this be considered an S or an E??? I’m sorry can’t help you there, I don’t know the program that well enough. Definitely an S meal if you are a THM. Wondering if this would work with sesame butter and homemade coconut milk? Guess I need to try it. Need to get some ramekins. Holly cow! I was a little skeptical at first but now I am a believer… This is a winner..thanks so much! Best low carb bread item ive ever had. I browned it in a pan with a little butter. OMG YUM! This was substantial enough to hold all my sandwich ingredients (1 fried egg, slice of Gouda cheese and a slice of Canadian bacon) without falling apart while I ate it; a problem I’ve had with other low-carb EM recipes in the past. It also toasted better than the other ones I’ve tried. I was pleasantly surprised to find that it had NO peanut buttery taste to it at all once I toasted it. 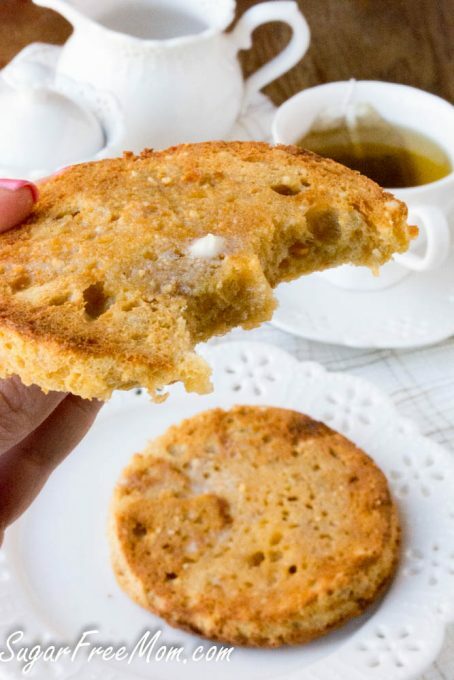 Just made this English muffin and although it is an amazing, easy recipe, I found it extremely dry and mealy. Am I doing something wrong. I followed the recipe to a T and did not substitute any ingredients. Maybe that is just the consistency it is supposed to be but thought I would ask. If you found it dry, it was overcooked. All microwaves vary, next time you make it cook it for half the time. THANK YOU!!! I’ve been GF for two and a half years, and just recently started doing some LC foods again, too. This recipe is BEYOND awesome! So easy, so delicious! My heart sings! I used almond butter and half and half, because I was out of almond milk. I made a quick blueberry jam/compote to go on top, added it still warm on top of the muffin with a little butter…ate both servings! LOL! You have made my day, month and year with this!! Maybe? I’ve not used regular flour in years so I don’t even have any in the house to try it. Sorry! This was delicious! I divided a single batch into two small ramekins. After toasting the texture was spot on to an English muffin! I used coconut milk instead of almond milk and it worked great. 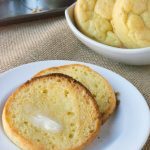 This is the best low carb bread/English muffin recipe I have found and tried! After toasting or pan frying, it really tastes and feels like real bread! My fiancé was also super impressed with the final product! I double the recipe and divide it into 4 – 4″ silicon molds and bake in the oven, sometimes adding garlic & onion powder, Italian seasoning and a shake of parmesan cheese to make them more savory. I look forward to these every weekend to make a BEC with! YUMMM!!!!!!!!!!!!!!!!!!! Hi! 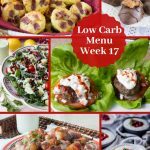 I am new to the whole low-carb low-sugar world and it can be overwhelming. At 51 I’m trying to get myself in my best shape ever! Trying to age gracefully, as they say! Can you tell me of a low carb flour that tastes good? Been researching that one… Thanks so much! I use either almond flour or coconut flour both by Bob’s Red Mill. They also now have a paleo flour with a mix of both that works well. Hi Monica, I just visited this site and saw your question. 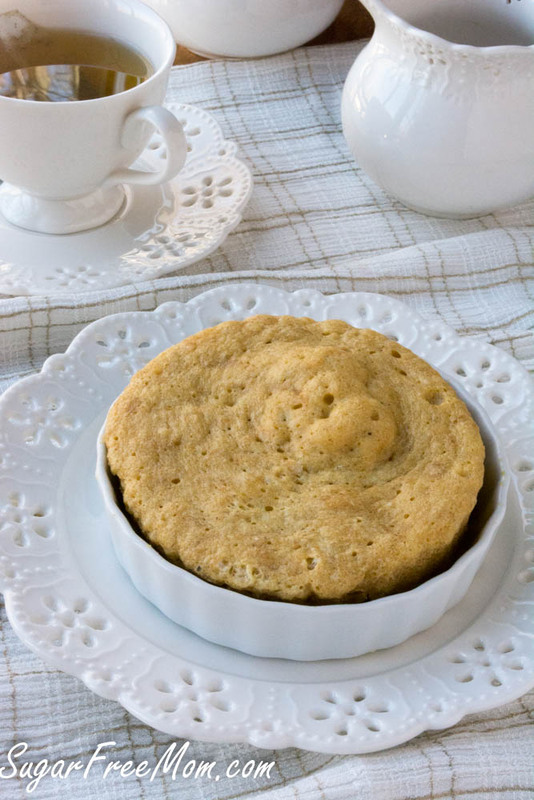 I’m going to try this recipe as written first because it sounds great and it’s simple (I love simple), but in answer to your question: Yes, there is a low carb flour that tastes good. It’s called Dixie Carb Counter’s flour. I’ve been experimenting with it to make low carb white bread in my bread machine, and although I haven’t perfected it yet, (the loaves are ugly), the taste is exactly like bread. I buy it from Netrition but I’ve seen it on Amazon and eBay too. I’ve been trying to go grain-free / low carb and I have missed bread SO much. Most bread substitutes have strange textures but this one was really good! And I loved that it got the little air pockets in it just like regular english muffins. I’m going to buy some of those english muffin rings so I can try your other recipe with the cashew butter. This is definitely a recipe I want to make in bulk so I can freeze for later! Woah! How cool is this?? I can’t wait to try these! I love anything for those mornings when I wake up and wonder what I am going to eat for breakfast because I didn’t prepare. Ok, I had to try them. still hot from the pan. but I accidentally left them in to long so they were browned on the bottom. baked in the oven, in a muffin top pan. I definitely concur on the salt issue. when I made regular english muffins on the grill (30 years ago) they either didn’t use salt at all or used much less because that’s one of the defining features of english muffins. unsalted or nearly so. I used unsalted almond butter so thought I’d be ok. But they’re very nice and I’m looking forward to trying another with fake cream cheese on it tomorrow. thanks for the recipe. I’m on Atkins Induction at the moment (no nuts), and however much I love my bacon and eggs for breakfast, I was in dire need of a good Muffin recipe to make it “perfect” once I can eat nuts again and this seems to be the answer! I’m sooo anqious to try it! When you post microwave-recipes, it might be a good idea to mention how many Watts y o u r microwave is, to give us an idea of how to adjust the timing. Will let you know the outcome as soon as I’ve tried them!! We tried this recipe today and it was delicious! Since we only had the little 3.5-inch ramekins, we did two of those. Would you recommend a 6-inch ramekin to make one batch in one ramekin? I see some Eggs Benedict in our future! Hubby loves to make that dish for Christmas morning, but it’s tough to do when you low carb. I think that problem may now be solved! yes for one large muffin I think mine was 6 or 7 ounce ramekin. Your recipe looks delicious and I tried it, and followed it exactly but I baked it in a small square pyrex dish. When I took it out it was very stuck, and was soft and spongy. It just kind of fell apart and crumbled so I couldn’t toast it. Should I try microwaving it instead? How long did you bake it? Sounds like it was over baked. Did you wait to allow it to cool before removing from pan? It will still be spongey before slicing and toasting it. Mine came out very puffy and tall, is this normal. Should I use less baking powder? Sorry if you already answered this question… I did try to skim through the comments. What size quiche ramekin did you use? The one connected to this recipe 7″ or a 5″ one. After reading the comments, I now know I *have* to try this after I get some cashew butter. Have you ever tried this for making Eggs Benedict? I wonder if the Hollandaise sauce would make the muffin too soggy? My husband made eggs benedict with this low carb english muffin recipe today! After toasting, the muffin held up well under the egg and Hollandaise sauce! Yum! I just tried it today and it was delicious. I used 2 smaller ramekins and one was just enough for me to eat- the size was just like the regulat english muffin. I will try to add a little bit of xhantan gum to make it more chewy next time. But overall it was very good and satisfying. Thank you great recipe! This is recipe is awesome! Made as written & used a 2 cup Pyrex bowl to cook in. Topped with cream cheese & everything bagel spice blend. Best breakfast! Thanks! I used a mixed nut butter (pecans, walnuts, hazelnuts, almonds, and brazil nuts) from Trader Joe’s and it was fantastic. I only have the deeper ramekins so I cooked it in that and then cut it into three slices and toasted it on a griddle pan.. Put a little bit more butter and some sugar free jam on top. This will definitely become a regular for me! I’m going to try this recipe! Can you use the oven instead of the microwave? Thanks for the great recipe Brenda! What wattage do you use for the 2 minutes cooking time please? I have a 1200 w so not sure if I need to add/subtract time to get theses perfect like yours? Mine turned out very dry and crumbly. I was careful to follow the instructions carefully. Your microwave must be more powerful than mine, probably need to reduce cook time. So I decided yesterday to try these muffins. But I had to use Carbquick in lieu or nut flower. And my peanut butter was crunchy. And I only had half and half. I left out the salt. I made 4 in my muffin top pan. Baked at 350 for 8 minutes. They came out looking beautiful. Oh, I added 1/2 teasp baking powder, also. I had 2 muffins toasted with my bacon and eggs. Delicious. I put the other 2 on a plate and set it on the counter. For dinner, I decided I wanted avocado toast. OMG. I will order some almond flower from Bob’s, but I wasn’t at all unhappy with the way they turned out. Next time, I will add some spices for savory, and some for sweet. It was so easy I can’t believe it is also so good. Thanks a bunch for posting this!! These are absolutely wonderful!!! I wouldn’t change a thing! I used coconut oil instead of butter and that work well. Hi there! I actually had pine nuts in the freezer and made pine nut butter with those. I used that instead of the almond butter, and it tastes delicious. Also, I think the salt issue has to do with using store bought butters that have salt added to them, so those who use that should read the lable and look for salt. That way it won’t turn out too salty. Mine was great salt and flavor wise. Has anyone tried to make a whole bunch and freeze them? I’ve made this 3 times. I left out the added salt because I used salted butter. I increased the almond milk to 3 tablespoons because the original recipe was on the dry side. I love this! I used to make almond flour bread but wasted about half because I’m the only one eating it. This gives me 2 muffins. Enough for two or three days. The coconut flour you added made it dense and therefore no air bubbles. Even if it seems runny, I’ve made this a thousand times, the recipe works as it’s written. Think that will be too large, either increase or maybe try using a mason jar lid? These English muffins are a miracle! 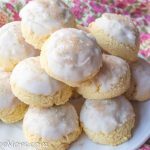 I am so impressed with this recipe they are one of my favs! Thank you, thank you! I likespecially to spread butter and peanut butter and then put them back on the top of the toaster for the peanut butter to melt in the bottom to get crusty! By the way I used cashew butter and may try almond butter next time. Sooooo good! Not Eggy at all! I purchase the muffin top pan so I can’t do this in the microwave. Any ideas how to make it in the oven? I’m very excited to use this recipe. I have a gluten allergy so all these microwave bread recipes have been a life changer. But most importantly, I NEED to know where you got that beautiful china?!?!? It is so unique and dainty. I just have to have it!!! Oh it’s just from Target. This recipe is fabulous! I can’t eat gluten/corn/rice/dairy, so bread recipes are difficult. I used peanut butter and a grain free flour mixture, plus Earth Balance spread, and it was great. Thanks so much for sharing this and giving me a great breakfast option! Super easy and super good! Followed the recipe exactly and was perfect! I made this in a large ramekin and it overflowed all over my microwave. Could it be different for higher altitudes? Wow! I’m super disappointed! Since going sugar free/low carb I have been frantically trying to find good “bread” recipes. I’m not a sweets person per se, but have always loved my bread. This has been the most difficult part of my lifestyle change. I was ecstatic when I saw this recipe for English muffins. In my former life, I was a professional baker, so I have no doubts regarding my skill. These came out dry, crumbly and taste resembling too much peanut butter cookie (which unfortunately was never my favorite cookie). They weren’t even palatable, I had to toss them. Sigh, guess I’ll keep searching. Sounds like you overcooked them. Every microwave is different in strength. This recipe is a winner and the texture is amazing, hope you will try again.Also cashew butter is what I used because it doesn’t have as strong a taste as peanut butter does. Well. I have been low-carbing for the better part of a decade and this is, hands down, THE best microwave bread recipe to ever happen to me. I used peanut better and half cream, half water instead of almond milk and it was soooo gooood. Surprisingly bready. Will definitely be trying with cashew butter also. Thank you so much!! Thank you so much for this recipe. 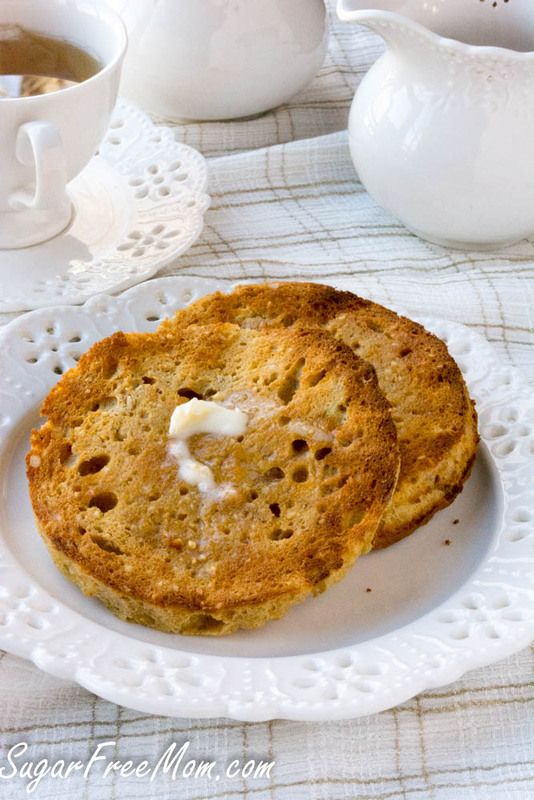 My daughter, who was looking for a low carb english muffin recipe, loved these. My brother did, too. A tad salty, so we’ll use less next time, but definitely a winner! Thank you! Tried this over the weekend. I added a few drops of Walden Farms pancake syrup to the mixture. When done I cut in half, put on a scrambled egg, a sausage patty and some cheddar cheese. Tasted close enough to the **griddle sandwich at the fast food place. Will definitely have as my weekend breakfast. Instructions are right in my notes above the recipe. Well my recipe isn’t calculated with the Peanut butter it’s calculated with what I used which is cashew butter. I’ve made it with peanut butter and that’s an option but not what the nutrition info includes. I’ve just made this and ate half with cheese and garlic butter….flipping lovely!! 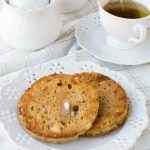 I’ve been searching for an English muffin recipe without coconut flour ( too dry, strong-tasting and saliva-absorbing! !lol ) for a while and this hit the spot. I shall be making this on repeat now. Very filling, stayed in one piece and a drink of water on hand is not necessary! ;- ) Thank you so much!! Tahini (sesame seed butter) also works very well here. Neutral in taste, and lower net carbs than the nut butters. Made this tonight…was a winner..used almond butter and half and half cream..best bread yet..thank you. Just really get your content out there. Focus on one or two social media outlets you love and share great content and recipes. Be authentic and your audience will find you. Using the link you provided in the recipe for the ramekin, did you use the 7″ or the 5.5″ ramekin? I don”t normally comment even if i like a recipe, but this recipe is AWESOME!!!!!! I have tried a lot of low carb “bread” recipes and most of them have been very eggy 🙁 or just plain gross. This recipe makes me feel like I’m actually eating real yummy bread. Thank you, since going low carb I don’t crave bread anymore but sometimes I just want a piece of bread. I will defiantly be trying more of your recpies. Thank You! I made this with homemade cashew milk. No egg taste and quenched my craving for bread. Well done! I love how you don’t post any but positive comments! And you didn’t post my not so positive comment from a while back. There’s no way every single person that’s tried this recipe “loved it.”. But posting only positive comments is probably a really smart way to get your recipe spread around Pinterest and Facebook! Thanks Brenda! Just made these with peanut butter and added 1/4 tsp. xanthan gum. I used three small custard cups in the microwave and cooked each for 1 minute separately. I then toasted and enjoyed with a dollop of butter and a pinch of cinnamon. Delish! When I added the recipe (with my additions) into my Carb Manager App, it came to 2g net carbs, 14g fat and 6g protein each. Sharing with Keto friends! Your muffin looks very yummy, I am sure mine turned out different as I didn’t have almond butter or peanut butter and didnt think I wanted that flavour so I used all butter :). Definitely a different texture probably too wet. I refuse to throw out anything I make as it is costly to do that so I cut it in half and broiled it on both sides to a nice dark brown ended up being perfect french toast :). So to my surprise and pleasure I now have a new breakfast. Oh gosh all butter is definitely not going to work the same as almond or peanut butter, but I’m happy you were able to salvage it. The almond butter made it filling, but I just didn’t like it. Even worse with peanut butter. I salvaged it by covering it liberally in SF maple syrup. It does have the eggy texture of French toadt. But I would love to have something better. Thanks for the idea! Looks great but I prefer using an over rather than a microwave. Any thoughts on this? Have you ever tried to make it in the oven? Mentioned right under my notes above to bake it 350 F for 15 minutes. I’m new to making keto bread and wondering if how mine turned out is normal. They were a little crumbly and not very firm after I toasted it. It almost came out in pieces. Should I have put it in the microwave longer? Or is this typical? The flavor was very good though. No it sounds like it was overbaked in your microwave. Next time just under bake it. Every microwave is different in strength. When mine come out of the microwave they are soft and pliable. Once toasted they are perfect. Absolutely delicious. I left out the salt though. I’m going to make 2 more in a few minutes and freeze for the next couple of days. I used the microwave method. Couldn’t have been easier. Thank you. Hoping to have this with tea tonight and happy to find something that doesn’t taste eggy. Thanks! I couldn’t wait until tonight. LOL! I just made it with peanut butter and topped it with cream cheese. It was very good! I’m going to buy cashew butter to use next time as the peanut butter taste was strong – but I love peanut butter, so that was not a problem. Thanks again! I made your recipe this morning in two ramekins using peanut butter. I sliced and toasted them after the microwave and topped with butter. They were delicious! Thank you for this recipe! Can I substitute almond milk with heavy whipping cream? I found that at Target quite a few years ago. What is a muffin top pan? Having been in Ketosis for several weeks and have lost over 20 pounds, this recipe has become my favorite Keto “go to” recipe by far! I love these muffins! As an engineer, I’m always trying to find ways to make things more efficient. 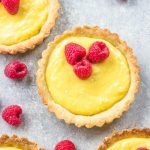 Since I make these delicious golden treats so often, I wanted to see if I could forgo the separate mixing of the dry and liquid ingredients, which for me, wasted too many bowls and took too much time (even 2 minutes can be much improved on!). The answer is using a mini food processor. I use the small Proctor Silex, which is also great for making sauces, dressings, salsa’s, etc. Just throw all of the ingredients (wet and dry) into this little sucker and and pulse it a few times, and BAM! The muffins come out even better and with perfect consistency! Curious though with the perfect processing of the ingredients if you still get the “nooks and crannies” visible in my pics? Good question. When it comes to English Muffins, we all want and expect those nice “nooks and crannies”, and open homes in the texture. The answer is “yes”, but it depends on how you process the mixture. If you process the wet/dry ingredients for over 10seconds, you will get a much “tighter” outcome, wherein the toasted muffin has less open holes (or as you say, “nooks and crannies”)… if I’m reading you right. But if just pulse that baby a few quick times, (experiment to hit the right spot! ), you will have delightful nookes and crannies in your muffin. It’s all a matter of timing. But it’s so much quicker, and the cleanup is even faster. I want to personally thank you. Your recipes have helped me to stay on a Ketosis diet, and reverse my diabetes, drastically lower my weight, lower my triglcerides, adinfinitum adnauseum! … you are a saint!!! PS and keep up the good work! God speed! Just to add a few things … I use macadamian butter in place of other butters. It has lower carbs, and higher good fats, and it taste amazing. And toast your muffins over an open butane burner flame to bring out the carmelized goodness and flavor. This is the first English muffin recipe I’ve tried and was pleasantly surprised with the texture and taste. I made your recipe with coconut butter, coconut flour and cinnamon first, and although it was good I didn’t care for the taste of coconut in my muffin. So I made your other version using cashew butter, almond flour and heavy whipping cream. It was wonderful! A tad salty, and I love salt, so next time I will cut the salt down to 1/16. I microwaved it a small soup bowl, greased with avocado oil. After it cooled I sliced it in half, toasted it and spread butter on them and some sugar free blueberry preserves on one half. Delicious!!! Thank you so much for posting the recipe. Made this recipe the other day in a big soup mug. Cut in half and had one for breakfast as toast and used the other the next day as french toast! It was great! I have made this recipe 2x….once w/peanut butter which I liked, but if you don’t care for peanut butter the almond butter works great too! Thanks for helping make this new journey in low carb eating so much more enjoyable! Holy cow these are good! I didn’t believe it. Only tried it because I didn’t believe it. Followed the recipe exactly and I made two. I toasted them in my air fryer. Delicious!!!! I’ll be making these often. Thank you! Now I really need to get an air fryer! How long did they cook in that? I made these using clarified butter and didn’t have almond milk so just used heavy whipping cream. Devided batter into 2 x 4 inch ramekins and baked in 350 degree preheated oven. Perfect size, texture and taste! This may be a dumb question, but I’m curious. I have a 9 oz. Ramekin. I’ve never used one before, so I don’t know if this is a “regular” Ramekin or not. I made this recipe using this Ramekin, microwaved it for 2 minutes. It came out wonderful, I cut into four pieces because it looked about 2 inches tall. Toasted it spead butter on it, tasted delicious. So finally my question, does making this in the 9 oz. Ramekin make it a 2 serving muffin or is it one serving? So you cut it into 4 slices which is perfect for 2 servings. Is there an alternative to almond milk? Using peanut butter… and I only have half&half or HWC on hand. Great recipe! At first, I was skeptical because I assumed a “muffin” should have lots of flour – but there was hardly any flour in your recipe. Okay, I’m game… so I made cashew butter, but used coconut milk instead of almond milk (wife’s allergic to it). Followed your instructions, and after toasting, it was DELICIOUS! Wow! Thanks for a novel creative recipe. We enjoyed it as turkey-tomato sandwiches, and we’ll certainly do it again for an eggs Benedict breakfast. Thanks! I made this exactly according to recipe, using almond butter, I’m curious how you get only 2 carbs total, when the almond butter is 3 carbs and the almond flour is 4 carbs (and if cashew butter is used, that by itself is 9 carbs). I would make this again, but I would slice it in thirds to make is crispier, because I found it to be very dry, but with a smidgeon of jam, it was good. Thank you for sharing your recipes with us. 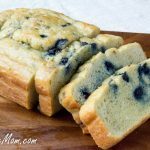 I love this recipe and the blueberry bread version as well. Unfortunately, I’ve now become sensitive to almonds. What would you suggest as an alternative to the almond flour? I’ve got some adaptions to this, see the links above the recipe for a nut free version. Wow!! Whooo hooo! So great!! Thank you!! This only made one English muffin shaped thing for me. The the shape was the only thing that resembled an English muffin! It tasted like sawdust. I made it, toasted it and put cream cheese and sugar free jelly on it, nothing helped. Yuck!! Fell sadly short of what everyone on here has raved about. I wish I could have left a review but couldn’t find where to do that. This is just like an english muffin, I will leave the salt out, & I love salt.Wasn’t sure if I should cook 2 minutes in the small ramekin, but I did 1 min 15 se, & it was good. Thank you so much for sharing! Anxious to try this recipe. Can you substitute hazelnut flour for the almond flower? A friend just bought me a bag so I’m anxious to try the recipe using thsi substitute. Thanks. Possibly though I’ve not tested it out but I think it would work. Hi, just so you know a website called ketocycle.diet is using your recipes in their meal plans and are charging fees for them. I used coconut milk and sugar free almond butter and it was delicious!!! I was so hungry that I completely missed that part about toasting it begore eating.. haha! It was still delicious though! It makes 2 English Muffins and each serving is 222 calories and 2 carbs each. Just tried this recipe using peanut butter because that is what I had on hand. I don’t eat low carb or sugar free, wanted to try recipe to serve to a diabetic. Wow! It’s fantastic. Hi… mine was good but seemed dry and crumbly… did I do something wrong?? overcooking would make it dry so next time just cook less time in your microwave. Thank you for sharing this.. I make them with peanut butter and love them! I was considering using mashed banana instead of the peanut butter, just for something different.. any thoughts how that might turn out? Could you triple the recipe and make it in a loaf pan and bake in the oven? Love this recipe so much, but would like to make a bunch ahead and slice it up to have for the week.